would a stock ezgo rear be able to handle a 35-40h.p. 400cc 2stroke snowmobile motor? There are Big blocks running stock rear ends with that kind of horsepower or more. Honestly people worry about hp but torque is the killer. Horsepower means nothing.... The twisting power of torque is what breaks stuff:) I would imagine a 23hp-35hp vanguard is making far more torque then a 400cc sled motor. Out of curiosity is the engine EFI? no it has a carb, I just don't know much about the rear end in these things. I was thinking the 2 stroke sled motor would have the same if not more torque than the BB motors? hey - i know that frank and www.alphacarts.com has a 60 hp monster cart running a stocker rear end with gears. thats the first I heard of alphacart.com. Is anyone here running there 48hp hot modded 23briggs? It sounds like a beast! My brother ran a 60+HP liquid cooled Vanguard motor in his cart built by AlphaCarts on a stock rear-end with high speed gears. He duned the cart and jumped it without any issues. 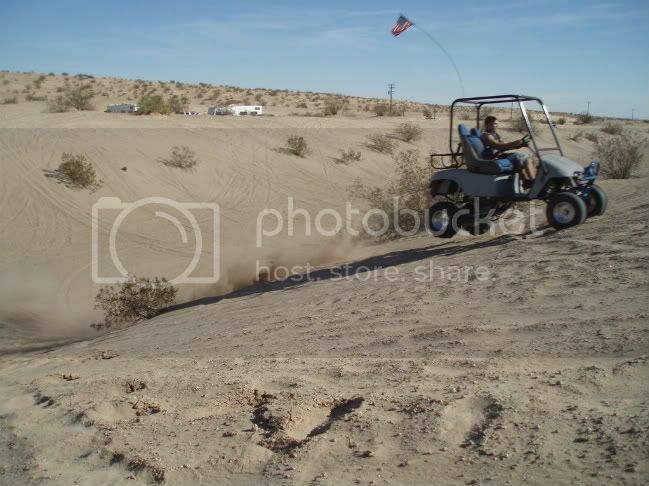 The cart was crazy fast and stayed nice and cool using the stock Vanguard radiator mounted in the bagwell with a fan. He has the motor for sale right now too. that is a good idea, running the radiator in the bag well. 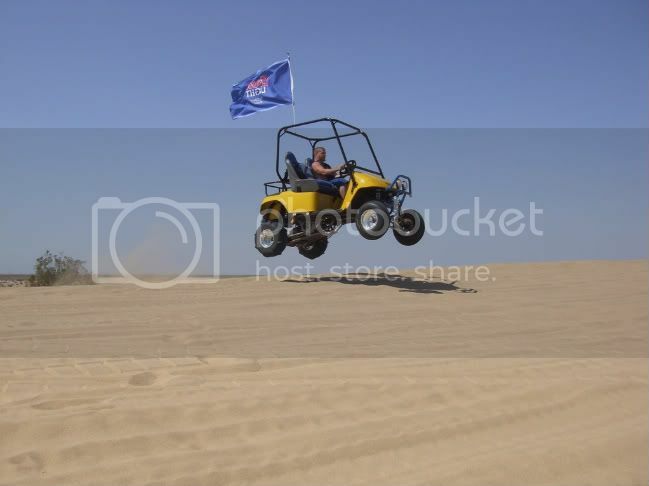 frank at www.alphacarts.com says he runs his air cooled 60 hp cart all day up and down the dunes when it is 100+ degrees at glamis. i cant wait till i get mine done. i have never seen a dune cart at our local dunes. i just want to smoke a few rhinos at the drags! and watch a few peoples faces---- ooooooooooooooooooooooooooooooooo what the #%&$%@ was that ?